We pride ourselves on having the very best equipment for each activity and locale, maintained by expert staff and custom tweaked just for you. We include everything you could possibly need, from bikes and helmets to walking sticks and water bottles, so you can focus on the experience at hand. You can’t enjoy a great biking trip without a really great bike. 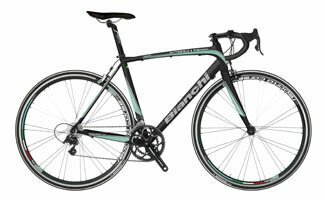 To that end, B&R has teamed up with some of the world’s leading bike manufacturers—Bianchi (USA), Cannondale (USA), Rocky Mountain (Canada) and Pinarello (Italy)—to custom-design a fleet of the very best hybrid touring and racing bikes around. On a B&R trip, your bike isn’t an afterthought or an extra; we build it into the price of your trip. And it really is your bike: tailored to your height, weight and riding specifications, it’ll be ready and waiting for you at the start of each day’s ride. It even has your name on it. For our European fleet, we offer custom-made flat-handlebar Bianchi hybrids and dropped-handlebar Bianchi racing bikes—to suit all levels of experience, from novice to pro. We also offer the opportunity to upgrade to a carbon fiber framed elite racing bike. Please inquire for more details. A hybrid bike with flat handlebars with a heavier frame and wider tires. If you don’t cycle a road or racing bike regularly, we recommend the hybrid. With thicker tires and a heavier frame it will provide you with a wonderfully stable yet agile ride. A racing bike with dropped handlebars with a light frame and thin tires. 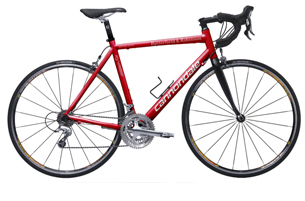 This is the typical road or racing bike; it’s ideal for bike routes with a lot of hills as its light frame and thin wheels won’t hinder you as you climb. The dropped bars give you a more aerodynamic position as well. 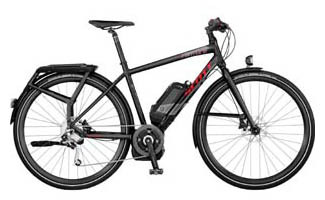 Our Scott E-Venture bikes are regular pedal bikes that provide electric assistance whenever you want it. With both the battery and the drive train in the center of the bike frame, this electric-assist bike is as stable as they come. With four different assist-level modes, state-of-the-art Bosch drive system, and an extremely comfortable ride, this bike offers it all. Learn everything you need to know about e-bikes in Butterfield & Robinson’s Know Before You Go Video. E-bikes are available on a first come, first served basis and there will be a modest upgrade fee for using them. Still unsure about the electric assist bike? See what co-founder Martha Butterfield had to say about her experience in Beaune with the Scott E-Venture Bike. Wherever we go around the world, we make sure that we use bikes best suited to the local terrain. 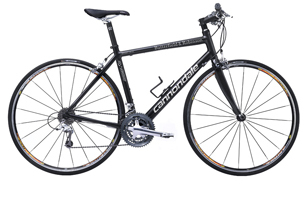 That’s why we have Cannondale and Rocky Mountain hybrids on most of our non-European biking trips. And for those destinations where the road quality is up to the challenge, we offer Pinarello racing bikes, also available in eight frame sizes. A hybrid bike with flat handlebars with a heavier frame and wider tires. If you don’t cycle a road or racing bike regularly, we recommend the hybrid. With thicker tires and a heavier frame it will provide you with a wonderfully stable ride. Racing bike with flat handlebars with a light frame and thin tires. 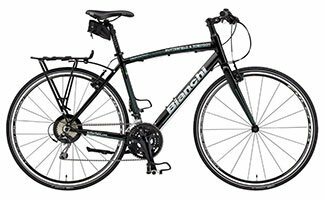 This is a road/racing bike in that it’s light and has the thin tires but with the flat handle bars it is perfect for people who love the road bike agility and like to be upright to see the sights around them or to protect their lower backs (for those with back problems). A racing (or ‘road’) bike with dropped handlebars, a light frame and thin tires. 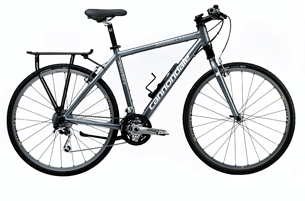 Custom-designed by Cannondale, it is ideal for hillier itineraries and/or travellers who intend to ride long options as well. The dropped handlebars give you three choices of riding position for diversity, in addition to a more aerodynamic position. Racing bikes are equipped with handlebar bags but rear racks are not possible. *Racing bikes may not be conducive with the terrain found on your trip. Your Travel Advisor will confirm this. We provide you with LEKI Teton telescoping walking sticks with adjustable wrist straps. 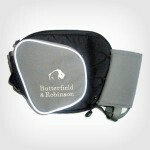 Their soft anti-shock system lite (SASL) was developed to reduce impact on your wrists and shoulders. The 3-section aluminum shaft telescopes from 24 to 51 inches to adjust to terrain and height. Weighing only 10 oz each, these are excellent walking sticks for our type of travel. To carry your personal essentials in the most comfortable and unencumbered fashion, you’ll be given a Tatonka padded hip bag. These nifty little bags have an integrated holder perfect for your B&R waterbottle. Lightweight and with multiple zippered compartments you’ll find it essential on trip. And we’re confident you’ll like it enough to take it home with you too—it’s yours to keep. It’s not just the parents that get custom gear. Whether your little ones are pedalling on their own or sleeping in the car seat, we make sure they have all the right stuff—the best in quality and safety. Adults and older children use our Bianchi bikes. Please see the main biking equipment section above for more details on B&R adult bikes and accessories. 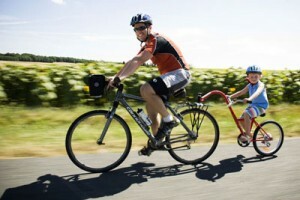 While many teenage travellers ride adult bikes, B&R’s fleet includes many options for smaller children. Depending on your child’s age and comfort with longer distances and/or traffic (which we avoid as much as possible, but still may encounter in, for instance, a busy market town), you might consider a child’s tandem or a trailer. We use the Burley Piccolo, a cool-looking half-bike with a rear wheel, gears, pedals and handlebars. The front attaches to the rear rack of an adult bike and the adult takes care of the steering. This is a great option for kids who pedal sporadically and can’t necessarily cover the miles on their own. The tandem must be attached to a hybrid-style bike (road bikes are not a safe option). Maximum weight for a child riding the Burley Piccolo is half of the adult rider’s weight. We use the Burley Solo, a two-wheeled trailer capable of pulling younger kids. For kids 49-52 in. (122-130 cm) tall. The weight limit is 60 lbs. (27 kg), but keep in mind that this refers to dead weight (as opposed to the tandem, where a kid can help pedal). Adults and children also have use of custom-made LEKI telescoping walking sticks as well as water bottles in padded hip or pack-strap holsters. Maps and detailed route suggestions accompany each day’s excursion. For children weighing less than 85 lbs. (38 kg), we provide car seats in the B&R support van. We will order car seats for kids weighing less than 85 lb (38 kg). They come in two styles: a full car seat with 3-point harness for smaller kids and a booster seat for larger kids. You can also bring your own, please just inform a Travel Advisor so your guides are expecting it. We’ve teamed with RideWithGPS to provide downloadable GPS routes for our European trips (walking and biking!). You can download the RideWithGPS app using the links below to get the turn-by-turn routes on your own Apple or Android device, or download the routes directly onto a GPS unit, such as a Garmin. 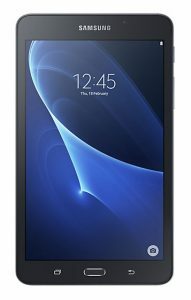 Also, bikes on our European departures can include a handlebar-mounted Samsung Galaxy tablet with preloaded route maps via RideWithGPS. So if you don’t have a device, we’ve got you covered.